Want a therapy website that your clients will be able to access from a variety of devices? 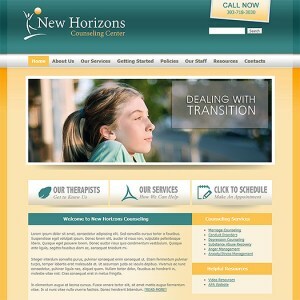 That's exactly what's in store with this new responsive WordPress counselor website. With a warm, inviting design scheme this website will also provide the same kind of ethos you work on developing in your brick and mortar therapy center.